The Summerfest 5K & Tot Trot. 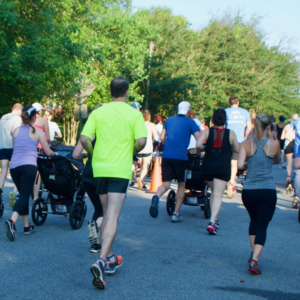 For over 30 years, serious runners and walkers participate in one of the best races in Atlanta. FREE BEER & premium t-shirt! Race tends to sell out, so register today! Virginia-Highland Church, 743 Virginia Ave. NE (across from Inman Middle School) (packet pick-up only, no race registration). Cutest kids’ race in Atlanta! June 1, approximately 9:30 a.m., after the 5K race. PLEASE ARRIVE BY 9:15 AM!